I LOVE my daughter’s reaction whenever I serve these cute little apple smiles for kids. She can’t help herself – they bring a smile to her face every time. What brings a smile to my face is how easy are to make. And they’re pretty healthy (with the exception of the marshmallow teeth). These are PERFECT treats for a Halloween party – or just anytime really! So, how do you assemble these little apple smiles for kids? They’re about as easy and quick as you’d imagine. an Apple Cutter/Corer . You can just use a sharp knife, but we find it’s so much easier to use a cutter/corer to cut the slices uniformly and remove the core all in one. First, use your handy dandy apple slicer/corer to well… core and slice your apples. 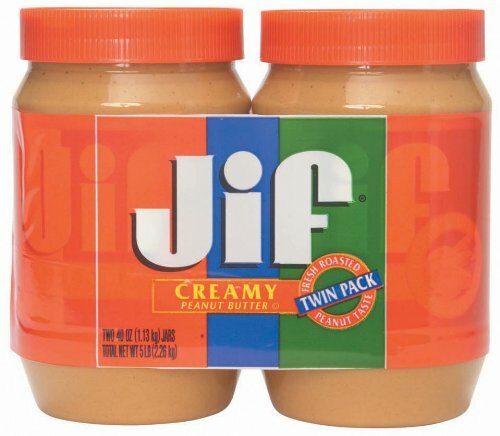 Now you’re ready to spread a teaspoon or two of peanut butter onto each slice. Tip! If the peanut butter doesn’t want to stick, lightly dab the apple slices with a paper towel to remove extra moisture. Put a row of marshmallow teeth on the bottom lip, on top of the peanut butter. Now, put a slice of apple (with peanut butter spread on already) on top, and sandwich them together. 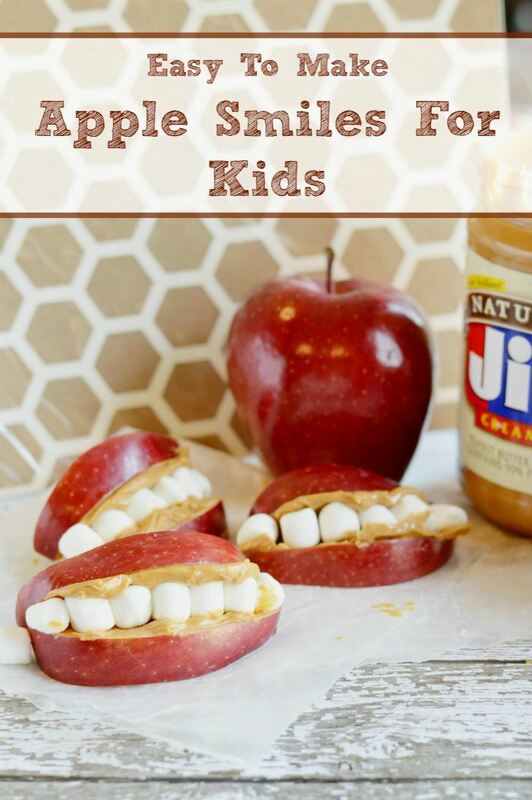 Now just press them together until they stick, and voila, you have your cute little apple smiles for kids! Optional: If you’re not a peanut butter fan, you can substitute Nutella. My kids LOVED the Nutella version. Kids love to help make these, so if you don’t mind a few sticky fingers, let them come into the kitchen and help you assemble once the apples are cut!